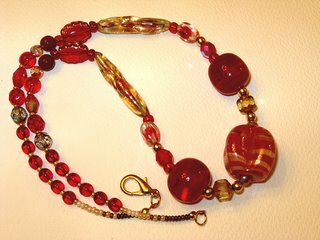 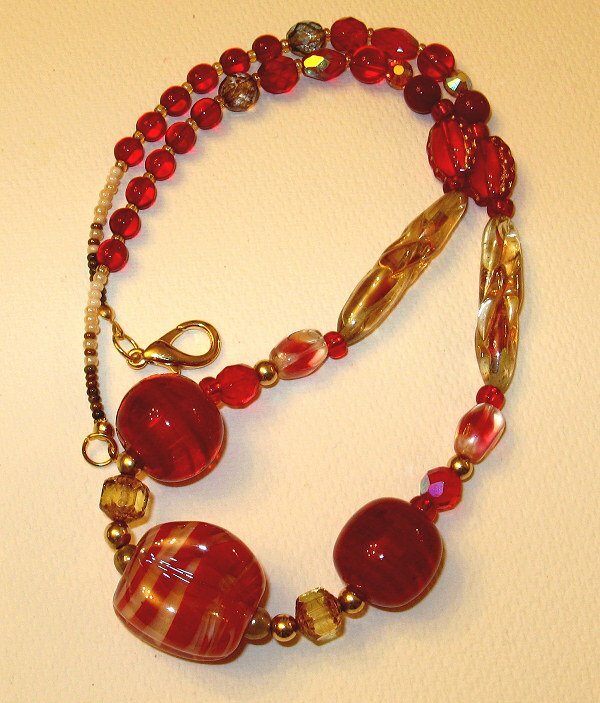 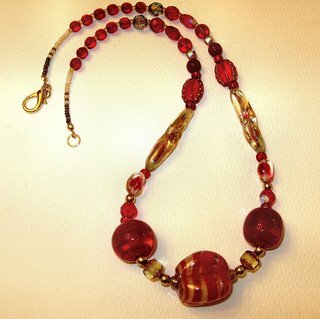 Again, I mostly used Murano beads (as least the 3 big ones), gold-plated and bronze little balls, and Czech crystals. Well, 2 Swarovski bicones as well - but they are tiny. 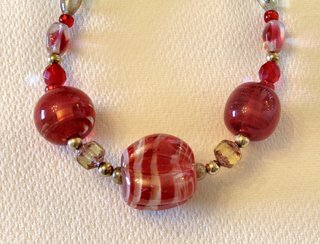 The picture had to be taken with flash, since it was way too dark here last morning - even with all windows open. Gray, rainy Irish weather!